Aaah it’s that time of year again, the mother of dance parties ZoukOut is upon us. So, you got your party fam, a slayin’ festival ensemble that could possibly put Vanessa Hudgens to shame, all that is left is to find some grub to bring you to #firstlight without feeling like a zombie. However, the options available are usually paltry and painfully basic, to say the least. I know what you’re thinking, just grab some fast food and all’s good in the hood. And hey, I love my fast food as much as the next girl, but this year it’s time for an ultimate glow up on 1 December 2018. 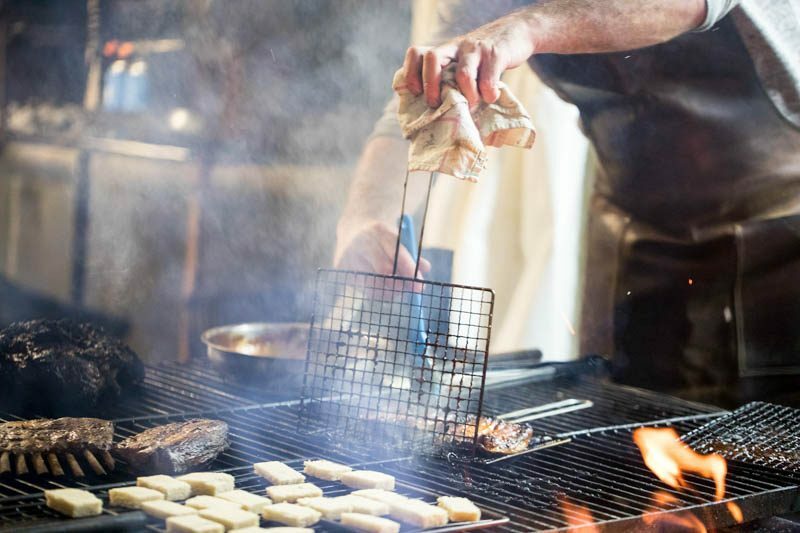 For the first time ever in its 18-year run, ZoukOut Singapore is collaborating with one-Michelin-starred Australian BBQ restaurant Burnt Ends and Mediterranean cuisine centric FOC Sentosa, headed by Michelin starred Chef Nandu Juabany. Prepare to feel fancy as you sink your teeth into an exquisite full-course dinner of 15 dishes that perfectly captures the style of each establishment. 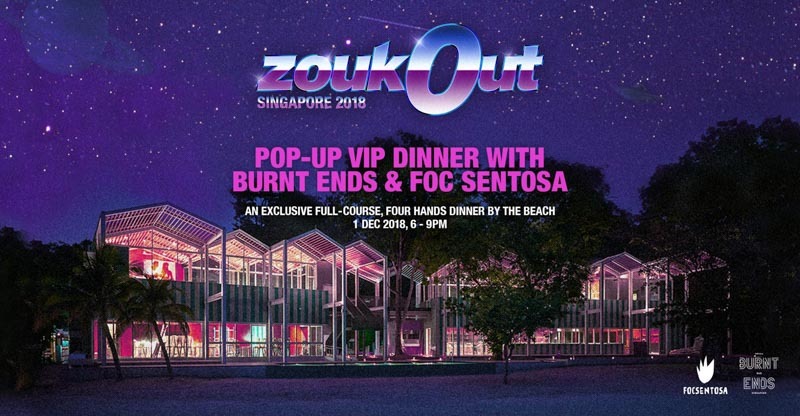 This Pop-Up Dinner is exclusive and only limited to 150 ZoukOut VIP pass ticket holders on a first-come-first-served basis, so book via Zouk’s VIP team secure your slots. With so much swankiness going on, the tickets are worth a pretty penny at S$220++ per head. But is there really a price tag for a totally aesthetic Instastory and a night of endless memories to post throwbacks to? 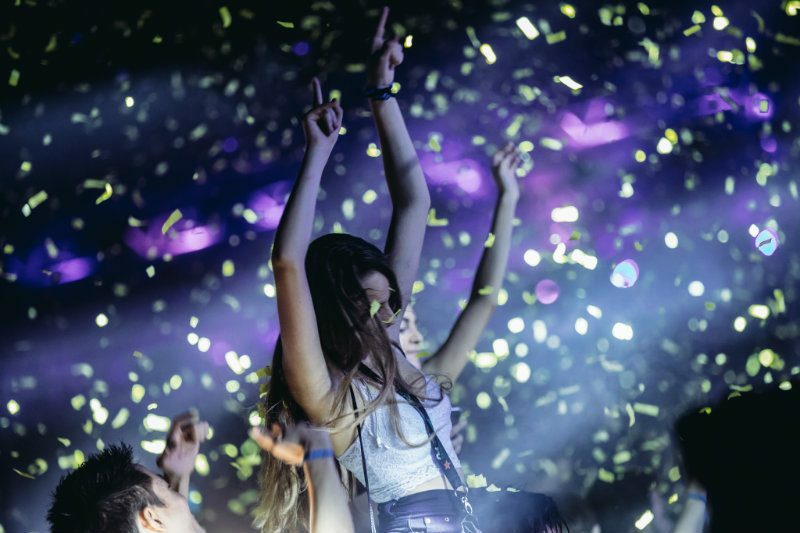 The stage won’t be the only thing that is gonna be lit come ZoukOut 2018. Get your tickets soon or else the FOMO will be too much to bear.